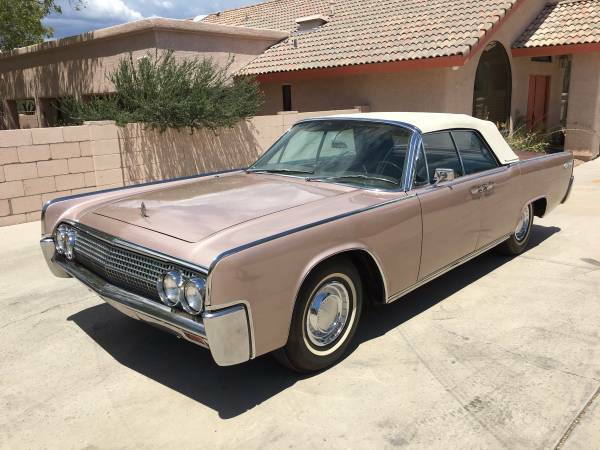 Found this one on heaps of the craigslist ads today, is fourth generation Continental is a series of luxury cars produced by Lincoln start in 1961 to 1969. As shown here is 1963 model fairly cool 4-door Convertible body with suicide rear doors, the appearance look clean and neat proved by photos unfortunately without interior view. Described as one example of true survivor car still runs very well today. Very less detail and info but it look to be one remarkable example of the 54 years old Lincoln Convertible being offered for sale today, asking $36000 located in Northeast Tucson. It's same model as Inspector Gadget movie use. Here's a beautiful French sports car come with 2-seats mid-engine, rear-wheel-drive layout that was designed by René Bonnet and make it happen by Matra, is a Matra Bonnet Djet Coupé that produced between 1962-1967. As shown here is a remarkable example of the Matra Bonnet Djet 5S that was come from first Matra production year after took over all from René Bonnet, sold as the 1965 model chassis number 20024 fairly nice in yellow color. 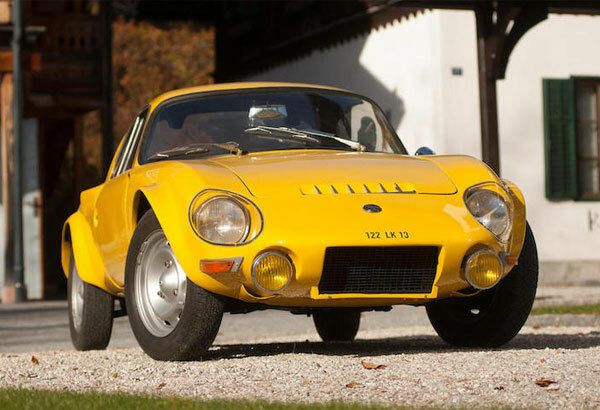 Total 1,495 Matra Djet's was made and this one them where has been sold for €23,000 by Bonhams at Paris in early 2015. And you know what? the Matra Bonnet Djet is the pioneer of mid-engined car, then followed a few years later by the other brands like the ATS, Lamborghini, Ferrari ect. 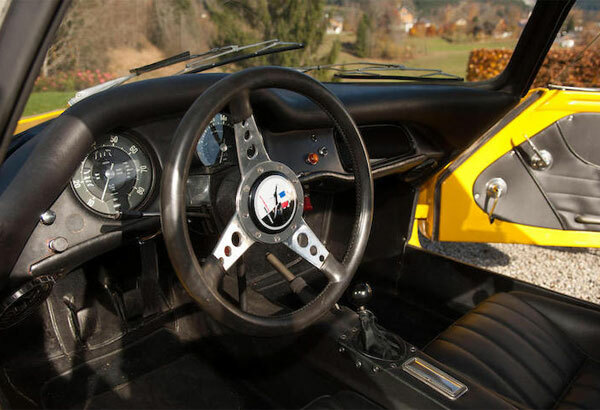 Though not represented all, the photo shown is original example of the Matra Djet interior still in immaculate condition and for the ages it awesome. The dash looks simple, no have much instrument into it, even the storage no has cover, no radio, no clock for me it still looks fun, just you and machine. 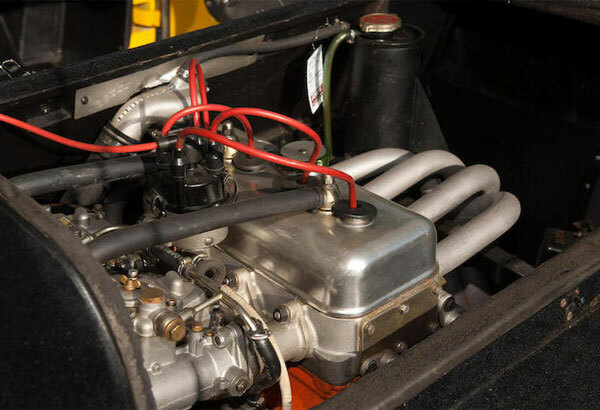 Here's where the power come from, as shown here is the correct machine for the Djet 5S model, an 1,108 cc Renault Inline-four engine that was tuned by Gordini backed by 4-speed manual transmission, is said capable to produce about 90-95 hp and 190 km/h (118 mph) for top speed. Here's found this one in Craigslist, one most collectible classic car in the worldwide that was built by German manufacturer Volkswagen, well known as VW Bus are is second model of the Volkswagen automobiles after iconic Beetle, thanks to sketch by Ben Pon's this box was created, based on the Beetle chassis and drivetrain the first generation VW bus was birth. 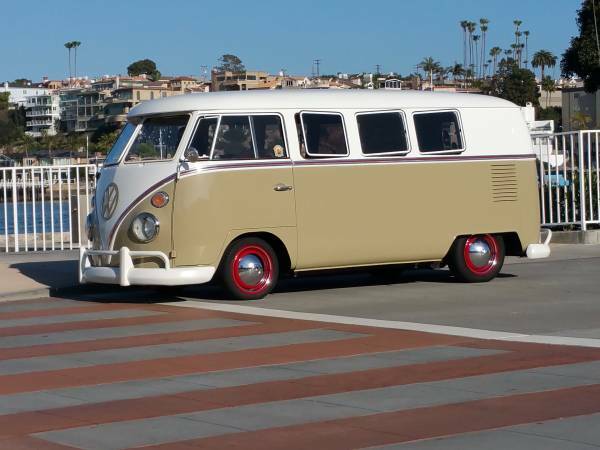 As you've seen here is an beautiful sample of the first generation VW bus, is 1965 model year has 11 window with deluxe trim and fairly sweet Hawaiian themed interior custom built, middle seats has been removed as well as his low profile makes it look fun for us all to enjoy. But if you seriously and interested to have own, the seller asking $26500 is said runs and drives very well and ready to go anywhere. Nice bus. Runs and drives excellent. Drive it anywhere and rides smooth and solid. *1760 stroker (74x86) dual carbs full flow. *Rancho freeway flyer bug trans conversion with Bus boys lowering kit. Here's found this one in Craigslist American beauty was made by Pontiac, as we've seen here is a first generation of the Pontiac GTO built in 1965 still in original and excellent condition overall, come with rare color combination between Tiger Gold with Parchment Interior ready to go. 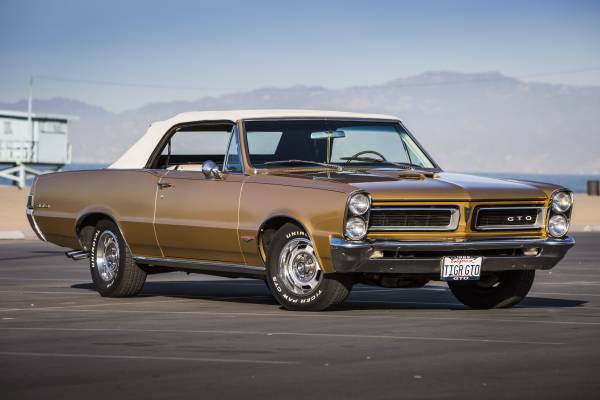 As we've knew the first generation GTO was a muscle car they carried a 389 ci V8 Engine 360hp with Tri-Power mated with 3-speed automatic and this one of them has been drive about 104000 miles clothed in a beautiful 2-door convertible body. This could be a remarkable condition for its ages, and this one of amazing American muscle car for rarity and its current performance. The GTO already offered in Craigslist about 29 days ago, looking for $65000, must see if you seriously want. Here's we found this one of the automotive world icons, the vintage economy car produced by Volkswagen which is coming from Hitler idea. It's the Bug commonly known as the Beetle, as we've seen here is 1965 model year. 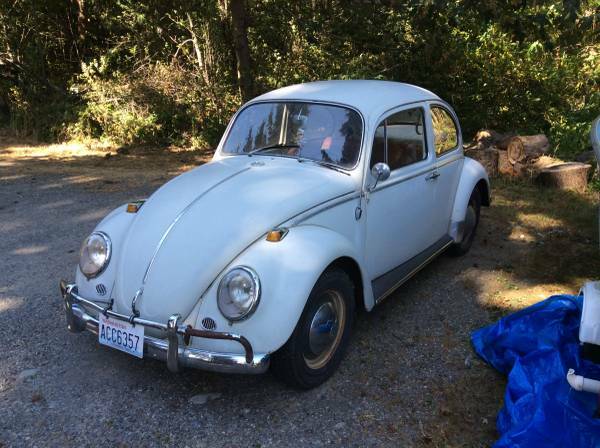 The owner claims is an original VW Bug come from Wolfsburg factory never been restore, is runs and drives good and about two years as its daily driver car. Originally is a California car black plate has been stored in a dry barn roughly 15 years. As we've seen hard to find imperfections here, it's remarkable Bug, great candidate to restoration project. With light magic touch by a VW guy that would make it sparkling back.